New York April 13 (IANS/WAM) With some 1.3 million drivers passengers and pedestrians dying each year on the worlds roads the UN took a major step to address the tragedy by launching a trust fund to spur action that could save lives and prevent the loss of opportunity associated with road accidents. 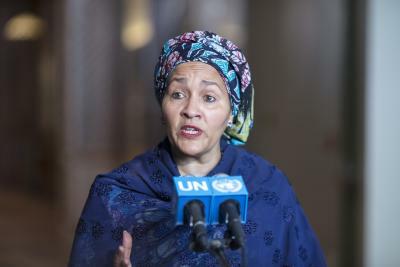 Speaking at the UN General Assembly where the launch was announced on Thursday Deputy Secretary General Amina Mohammed highlighted the opportunities offered by the UN Road Safety Trust Fund. "We have a chance to save the lives of millions of people around the world and to prevent injuries suffering and the loss of opportunity associated with road accidents " she said urging all stakeholders to contribute to the Trust Fund and to step up their efforts to achieve global road safety targets. According to the UN Economic Commission for Europe (UNECE) the Organisation s development arm in the continent which is also the secretariat for the Trust Fund every $1 500 contributed to the Fund could save one life prevent 10 serious injuries and leverage $51 000 towards investments in road safety. The Trust Fund will support efforts along the five pillars of the Global Plan for the Decade of Action for Road Safety which include strengthened road safety management capacities improved safety of road infrastructure and broader transport networks enhanced safety of vehicles improved behaviour of road users and improved post-crash care. Also the UN General Assembly adopted a resolution on road safety in which it called for a host of measures to prevent road accidents and to minimizing the resulting damage.